The entrance to Amsterdam’s Artis Zoo is flanked by two large stately buildings. One houses the planetarium, and the other a nice restaurant. Since 2014, the restaurant shares its building with a small museum: Micropia. It doesn’t need a lot of space. Micropia showcases organisms so tiny that you need to peek through microscopes to see them. It’s the world’s only microbe museum. I’m so excited that I finally got to visit, because I’d heard so much about it! 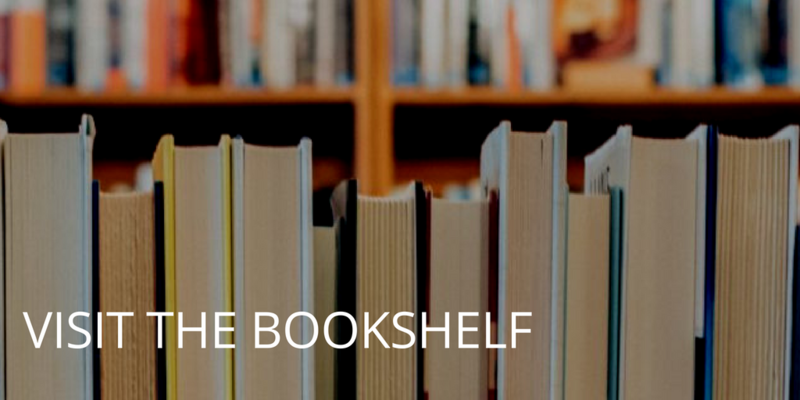 I first heard about Micropia from Michele, who asked if I could perhaps write about it for the Finch and Pea. 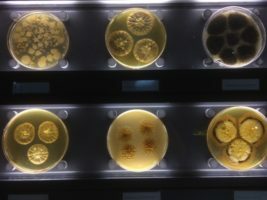 I couldn’t, because I wasn’t able to visit, but I sent my sister, who wrote a great blog post about the microbe museum. Since then, pretty much all of my science and scicomm friends who visited Amsterdam ended up at Micropia, and told me about the museum, the giant tardigrade statues, and the interesting displays – like this “wall of poop” below. Just the day before my visit, I was reading Ed Yong’s book I Contain Multitudes on the plane, and of course he also mentions Micropia in the book. Thanks to the Micropia passage in Ed’s book, I knew to look up in the lift at the museum entrance even before the recorded voice told us to: The ceiling of the lift started as a mirror, showing us standing below, but then zoomed in on one passenger’s eye, her eyelashes, and the levels of microscopic life living there. Of course, by this point we were watching a recorded animation. The lift ceiling camera wasn’t that powerful! 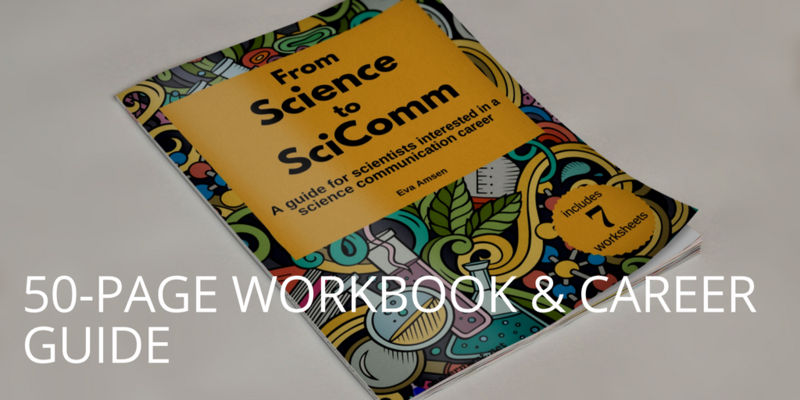 When we entered the main exhibit, we were just in time for a little demo at the lab. Micropia has its own lab within the museum, which they use to maintain all the microbe cultures that are part of the displays. 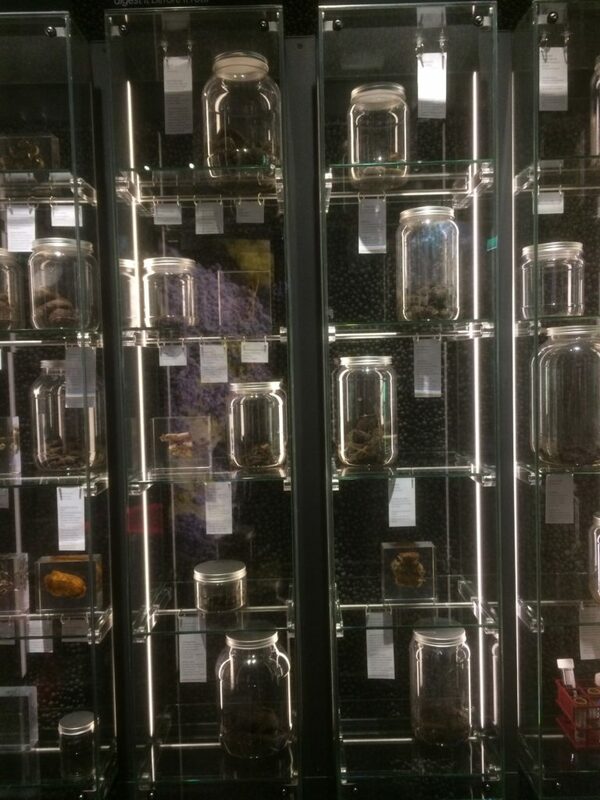 Throughout the museum you can peer through microscopes to look at living organisms, and these all need to be kept alive. That’s what the scientists in the Micropia lab do. It all looked very much like the labs I’ve worked in, but mine never had curious museum visitors peeking inside. The demo at the lab was about different methods of reproduction used by different micro-organisms. As usual, the tardigrade was the weirdest. It’s already such an odd creature, surviving the most extreme conditions, but I didn’t know until this microbe museum visit that the tradigrade lays eggs inside her own discarded old skin. 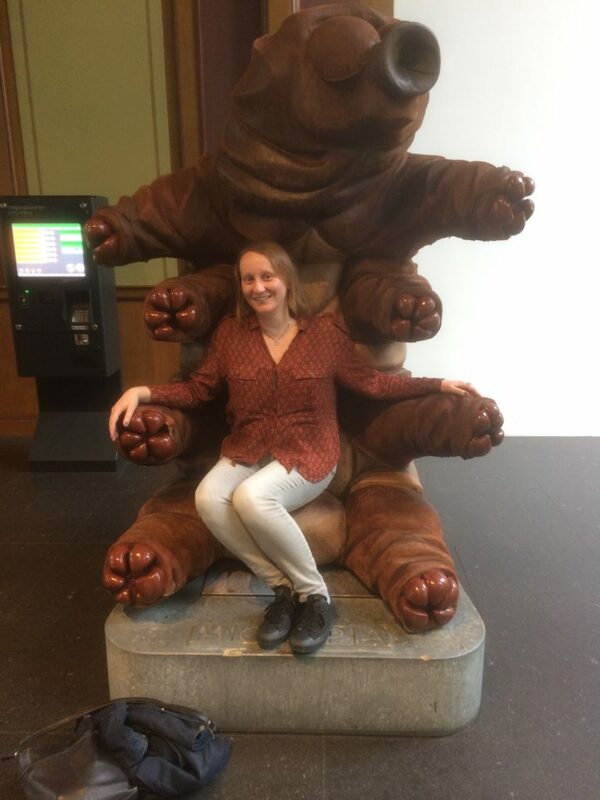 In the reception area of the museum was another gigantic tardigrade statue, and a photo opportunity I had been waiting for. 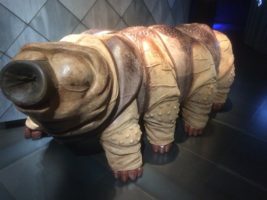 Finally, I visited Micropia and had my picture taken on the tardithrone.